Visiting a new place creates an opportunity to explore nooks of the country you’ve never seen before. Because Montana has so much to offer, there’s sure to be something that will pique the interest of your group! Peaceful time in nature is rejuvenating. Let us take you to experience the wonders of natural hot springs and geysers in Yellowstone National Park, or to see the beautiful peaks of the Grand Tetons. If you’re not a skier, there are other ways to enjoy the snow. 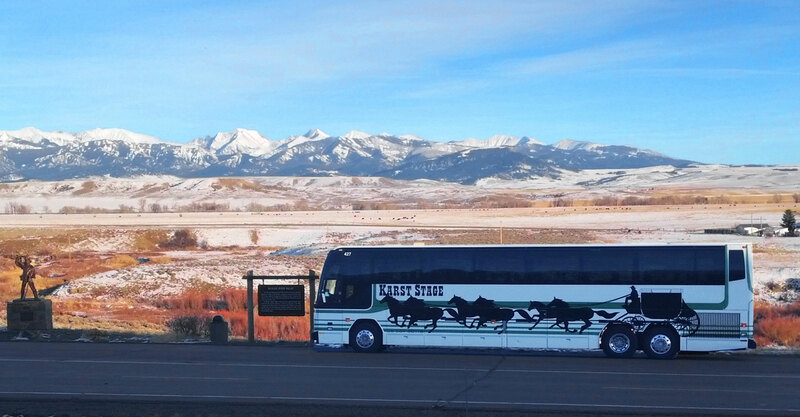 How about a sleigh ride at Lone Mountain or 320 Guest Ranch? Or, there’s always the option of snowmobiling through West Yellowstone, too. Vacation is a break from the stressors of everyday life, and what’s better than having a relaxing soak at the resort at Chico Hot Springs? You might be in town because two people you love are tying the knot. When you need wedding transportation to Springhill Pavilion or Lone Mountain Chapel, we’re the right people to call! There’s nothing better than escaping to the mountains to enjoy crisp air and fresh powder. When your group wants to hit the slopes, we’d love for you to experience the fun at Big Sky. Looking for a fun activity for the whole family? Create some great memories as you take on the rapids of the Gallatin River! Award winning transportation solutions for any size group!